Dubai is a vibrant city famous for its beautiful landscape, high-end shopping centers, and gigantic infrastructure. It also boasts of exciting sports like sand boarding, dune bashing, and quad biking among others. After a busy day of successful sporting, the visitors get luxurious meals at the ultra-modern oasis. One of the most loved adventurous sports in Dubai is quad biking. Popular known as an ATV, a quad bike is a three or four-wheel terrain vehicle with navigation tires and low-pressure tires. ATVs are specifically designed to be compatible with the inaccessible designs. This makes them extremely useful to for recreational activities. Quad bikes were introduced in 1893 by the Royal Enfield. Most of the bikes have four main engines with a maximum capacity of 500cc. They are divided into two main categories; utility and sport. The sports bikes have two wheels while and a drive shaft connected to the back wheel. The ATV has four wheels, and is more efficient in navigating through terrains. The sports quad bikes are relatively lighter but both have a higher operating speed- usually between 130 and 150km/hr. The most common ATVs are made by Suzuki, Honda, and Yamaha manufacturers across others. Both manual and automatic ATVs are always available hence the choice entirely depends on your desired specifications. ATVs have an utterly incredible performance as compared to the standard two-wheel motorcycle. They are sturdy enough and achieve a better balance more efficiently since they have four wheels. They also have a large diameter and surface area that guarantees better protection during the quad biking exercise. They negotiate trenches, Climb Mountains and rocks, pass muddy terrains and even surf the desert sand incredibly well. Dubai is an ideal destination for quad biking and other adventurous activities like dune bashing, sand boarding, and camel safaris. The famous dunes in Dubai are known as the big red; they have a natural red color because their content contains excess iron oxide. The massive 300 feet dune used for both adventure sports and motorsports including the UAE desert challenge. You can also arrange for Dubai ATV rental from the licensed tour guides and equipment vendors. Once you furnish the right licenses, you will have a smooth exploring moments with your friends. Also, you can get a two-day itinerary and explore the adventurous dessert activities and sumptuous meals under the desert tents. You will be entertained by belly dancers and other groups as well. One great thing about the Dubai quad biking is that you don’t stay away from civilization; the city is easily accessible. 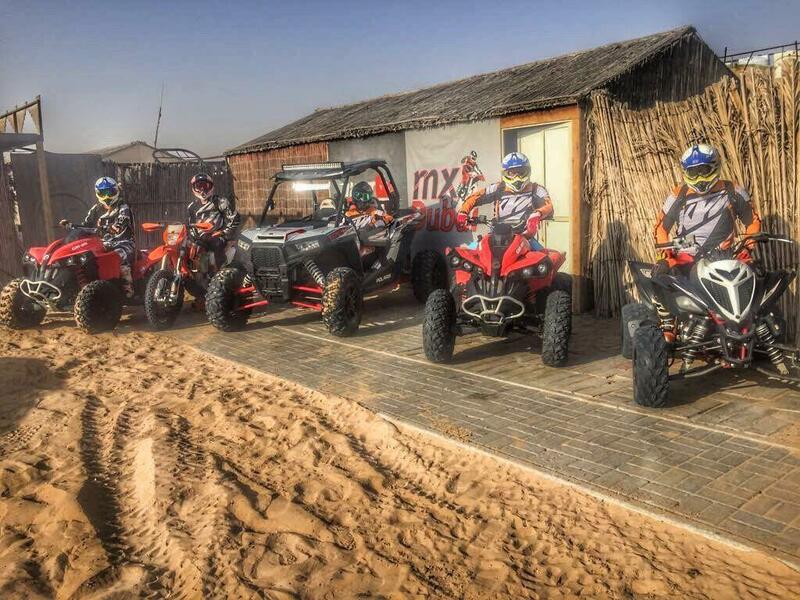 What Do You Require When Quad Biking In Dubai? Quad biking is exhilarating and nerve wrecking for both beginners and experts. You need to be extremely careful and gentle during the exercise to avoid getting hurt. However, don’t be afraid. Before you start the game, you will be taken through the various precaution measures that you should observe through the entire period. Ensure that you put on your protective attire and equipment like protective glasses, crash pads, and helmet. It’s not pleasant to have sandblasted on your face. Carry out a checkup of the quad bike you intend to use is in the perfect shape. You can ask confirm the fuel level and have a test run to be sure that all parts including the brakes are functioning well. The transmission system should also be operational. 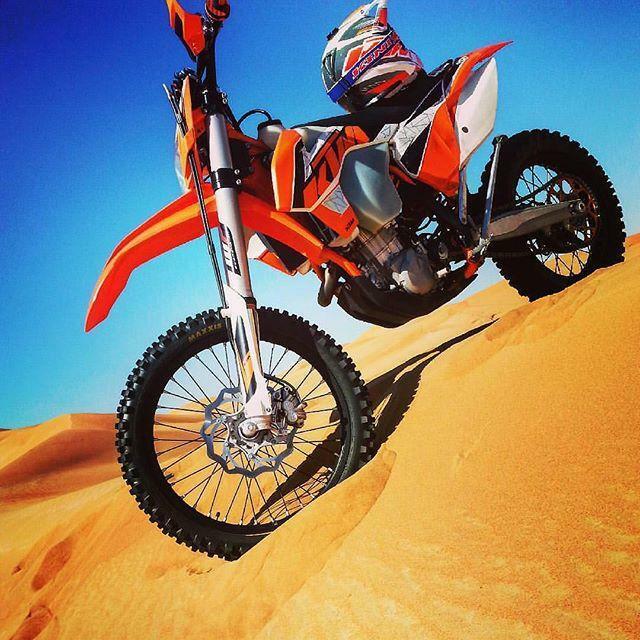 You should not compare quad biking in the desert to the regular bike riding on roads. This is because the tires do not grip the ground in the same way. As earlier mentioned, quad biking mostly takes place in the terrain surfaces. This means that traction is involved. It should, therefore, coast sideways instead of the regular straightforward movement. The beginners, therefore, need to learn the process slowly until they get used. Don’t compare your driving speed with that of the other participants in the group. Ensure that you follow the licensing laws by having the state permit. Failure to do this might land you to serious legal issues. Always keep a 20meteres distance between you and the other riders. Sand is quite treacherous, and you can quickly lose control. 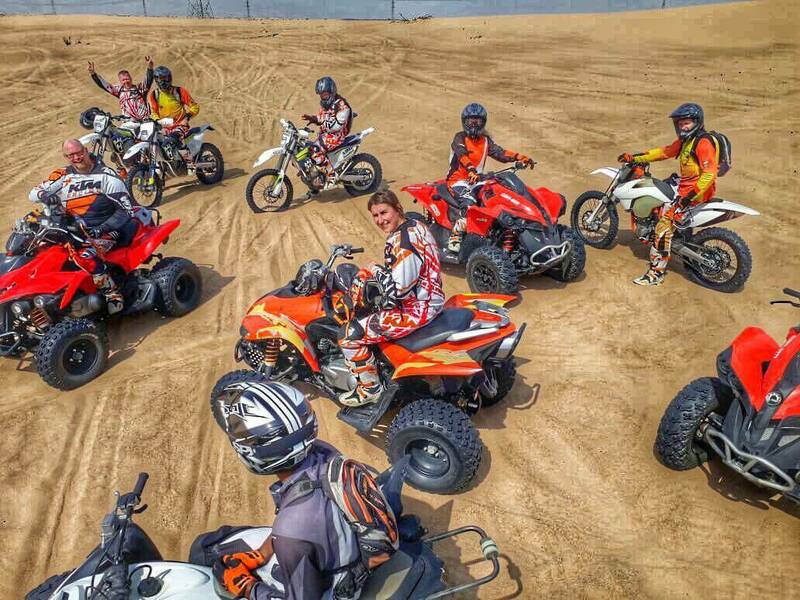 Ride safe, and you will experience the best quad biking tour in Dubai. With these things in mind, nothing should stop you from having an adrenaline rush moment of quad biking through the desert. Plan accordingly, and schedule a trip to this gorgeous city and witness the various mind-boggling feats. Apart from the quad biking, you will also get a chance to rub a shoulder with worldwide elite motorsport riders.